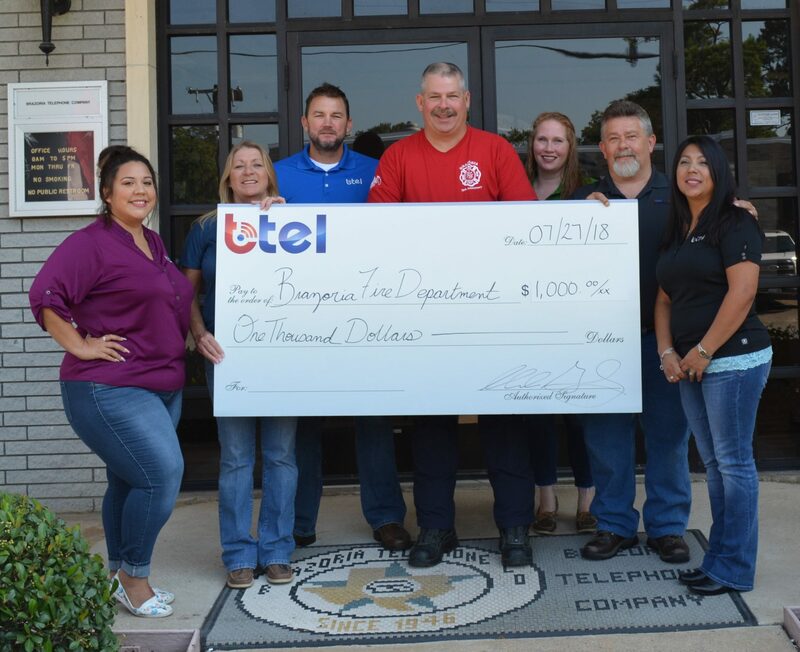 Btel is proud to support the Brazoria Fire Department with a $1,000 contribution! Thank you for all you do for the community! Pictured from left: Amber Riojas, Btel Customer Service Representative; Robin Cook, Btel Customer Service Supervisor; Chris MacIntyre, Btel Business Operations Manager; Scott Parker, Brazoria Fire Department Assistant Chief; Christina Wilkerson, Btel Customer Service Representative; Robert Kuehn, Btel Network Operations Technician; and Sarai Figueroa, Btel Central Office Clerk.